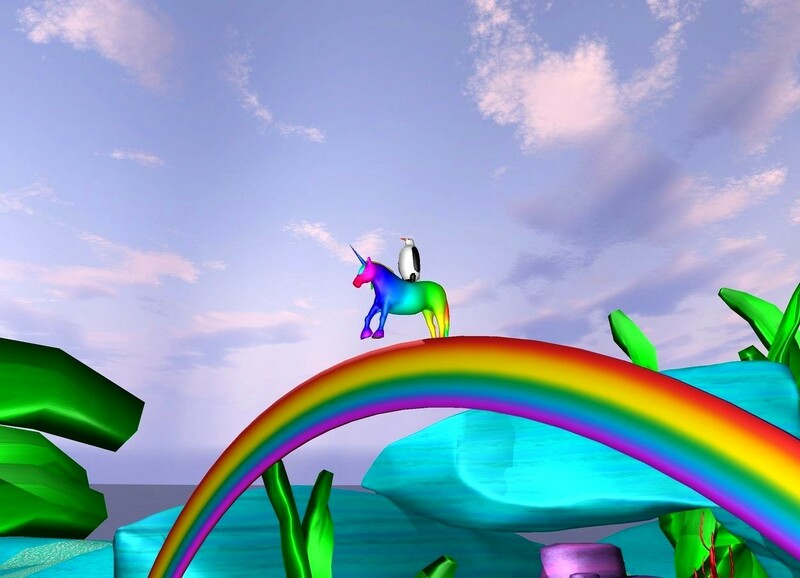 Input text: The penguin on the [rainbow] unicorn. the unicorn is 100 feet above the ground. a rainbow is under the unicorn.